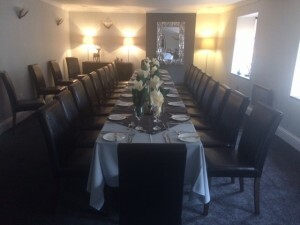 The Barony Function and Private Dining area, situated on the upper floor of the restaurant, is available for exclusive hire for your private event. Whatever your celebration or event, we’ll work with you to ensure that every detail of your private event is just as you’d like it. We’re happy to cater for any size of party for up to 40 people. Please call us on 01899 221159 or email us at enquiries@barony-biggar.co.uk with your requirements, we’d be delighted to discuss your event with you.